There is a giant web of energy and light surrounding you and the planet and the universe. Everything is connected in this huge web of life swirling all around us. Why should you be concerned about this web? Because you are already connected to it and being aware of it helps you to UNDERSTAND the meaning of your life. Consciously connecting to your web helps you UNDERSTAND how all events and people in your life are intimately interconnected. 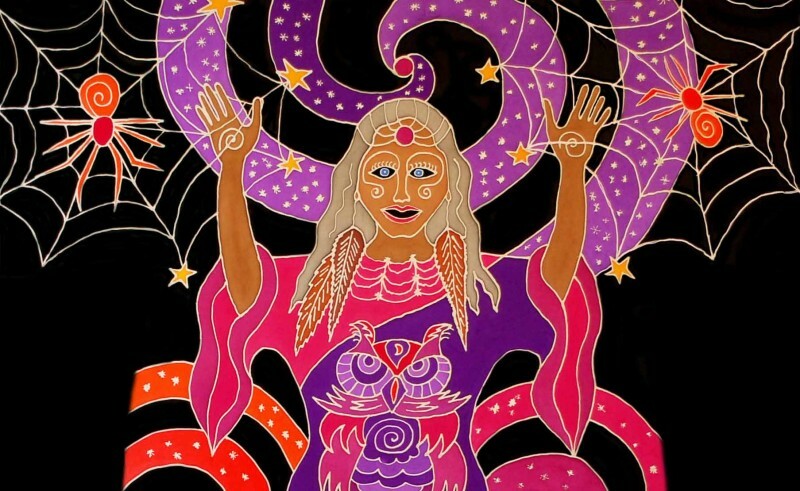 The figure above, Native American Spider Woman, is the spiritual elder on Megan’s 23rd sacred robe for Understanding. She is the creator and weaver of the cosmic web AND is the web Herself.